The Outstanding Student Award was created in 2014 to recognize exceptional service to NACE International, NACE International Foundation, a NACE student chapter, or the ACC Student Sub-committee. To be considered exceptional, the student’s participation must be recognized as significant to the growth of NACE or positively influencing the education of current or future students in the fields of corrosion science and engineering. 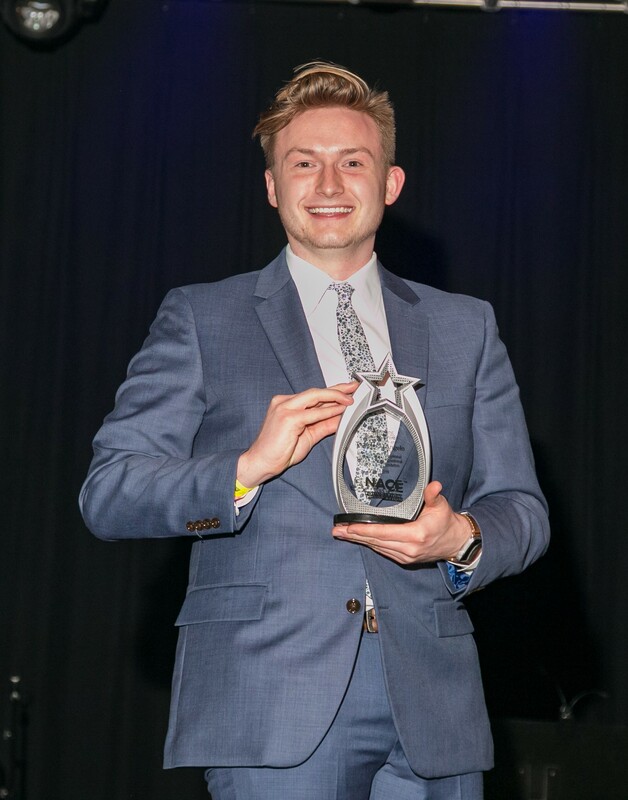 The recipient of the Outstanding Student Award is recognized at the NACE Foundation’s evening event, held during the annual NACE annual conference each spring. He or she will also receive a monetary award of up to $2,000.00 (USD), which includes an honorarium in the amount of $500.00 (USD), and a travel stipend in the amount of $1,500.00 (USD). 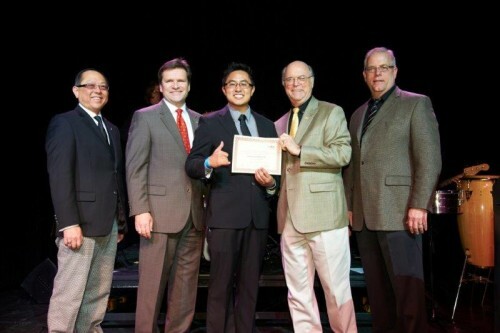 Do you know of a NACE student member who deserves to be recognized for his or her hard work or contributions? Download the nomination form below, and submit your nomination for the Outstanding Student Award today! 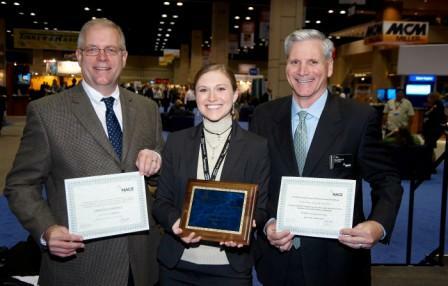 NACE Members – Any NACE member who is in good standing may nominate a student member. The nomination form must bear the signature of the NACE member making the nomination, and must be submitted directly to the NACE Foundation. NACE Areas or Sections – Any single NACE Area or Section may submit up to three (3) nominations each year. The completed nomination form must bear the signatures of at least one active member of the Board of Trustees, and must be submitted directly to the NACE Foundation. Past Outstanding Student Award Recipients – Past recipients of the Outstanding Student Award may submit one (1) nomination each year. Completed nomination forms should be submitted directly to the NACE Foundation. ACC Student Subcommittee Members – Members of a NACE technical committee, activity committee, or board committee may submit nominations. Completed nomination forms should be submitted directly to the NACE Foundation. Institution Administrator– Senior administrators or faculty at a student’s institution may submit nominations on behalf of a particular student. Completed nomination forms should be submitted directly to the NACE Foundation. The NACE Foundation reserves the right to extend the deadline for nominations as it deems necessary. Nominations must include statements and specific outcomes that substantiate the student nominee’s exceptional service to NACE International or the NACE Foundation. Nominations without such details will not be considered. Meritorious work will be evaluated on the basis of results achieved. Talks, papers, presentations, publications, volunteer service, technical performance or achievement will also have an influence on the selection of the recipient. If you are a NACE student member nominated for this year’s Outstanding Student Award, please read over each section and submit the requested documentation in order to accept your nomination. NACE Student Member – Nominees must be a current NACE student member in good standing, enrolled full-time at an accredited university or college (12 hours undergraduate program, 9 hours graduate program). Past recipients of this award are not eligible to be nominated. One (1) additional Recommendation Form – Nominees must obtain one (1) additional recommendation from educators, employers, NACE members or peers familiar with the nominee’s background. Recommendation forms must use the official Outstanding Student Award Recommendation Form and should be sent to directly to the NACE Foundation by the person making the recommendation. Nominee Profile Form – Nominees must complete the Outstanding Student Award Nominee Profile Form, and highlight any academic and professional achievements in their own words. Completed nominations will be submitted to the NACE Foundation Board of Directors for review, and a recipient will be selected no later than February 1, 2019. In the event a nominee is not selected, nomination forms will be held on file for future consideration for up to one (1) additional year. Past nominees will be contacted by the NACE Foundation to provide an updated Nominee Profile Form if he or she wishes to be considered again for the award. In the event the nominee is not selected the following year, a new nomination on his or her behalf will be required for consideration.